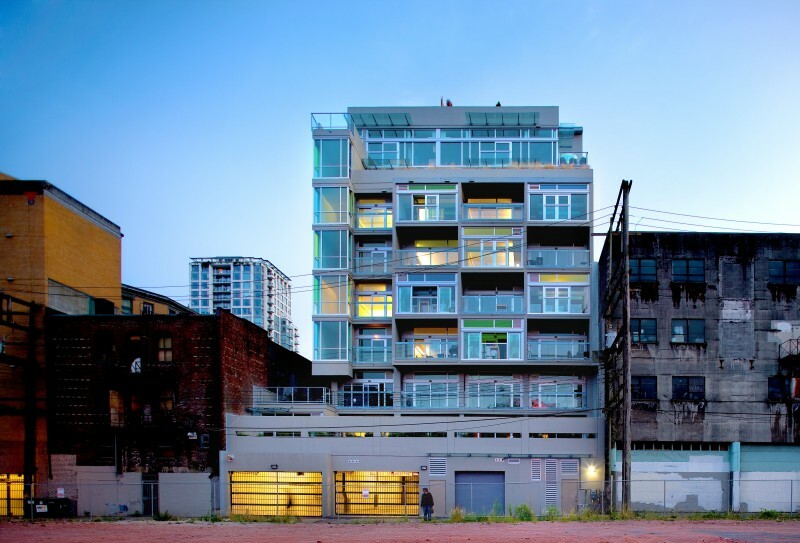 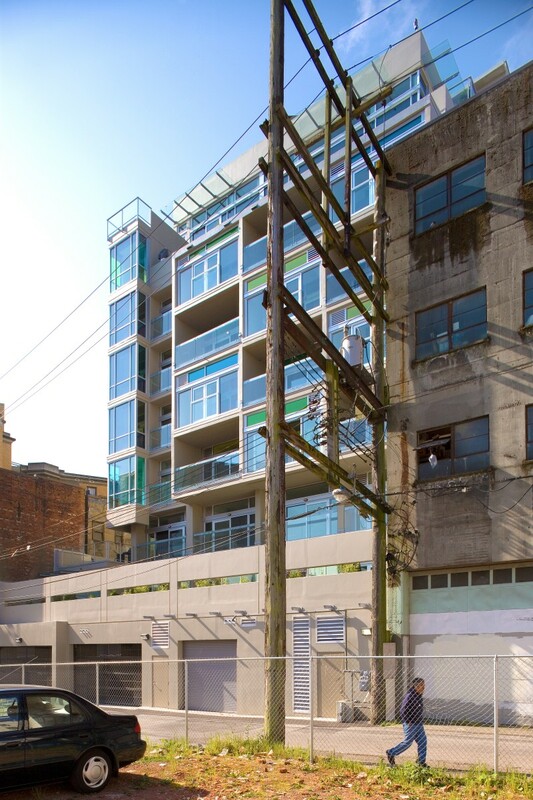 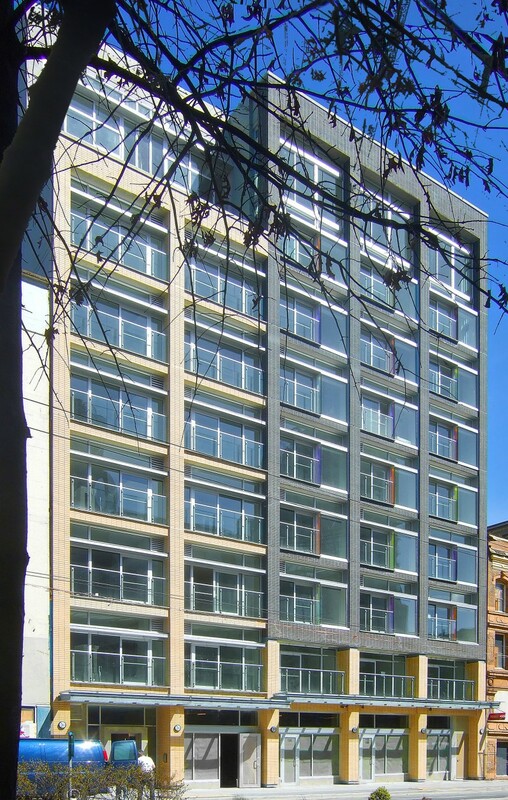 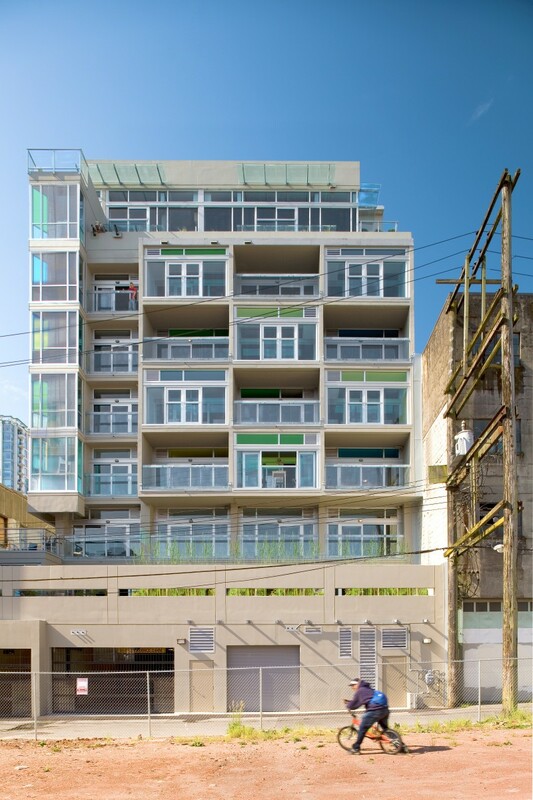 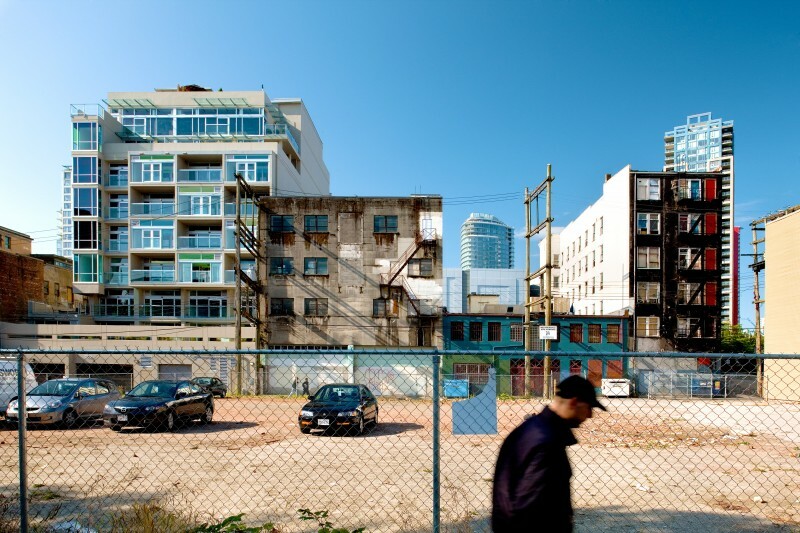 Completed in 2009, 33 West Pender is a 5,700 square metre, 9-storey mixed-use residential development that includes a mix of flats and loft units with retail located at grade. 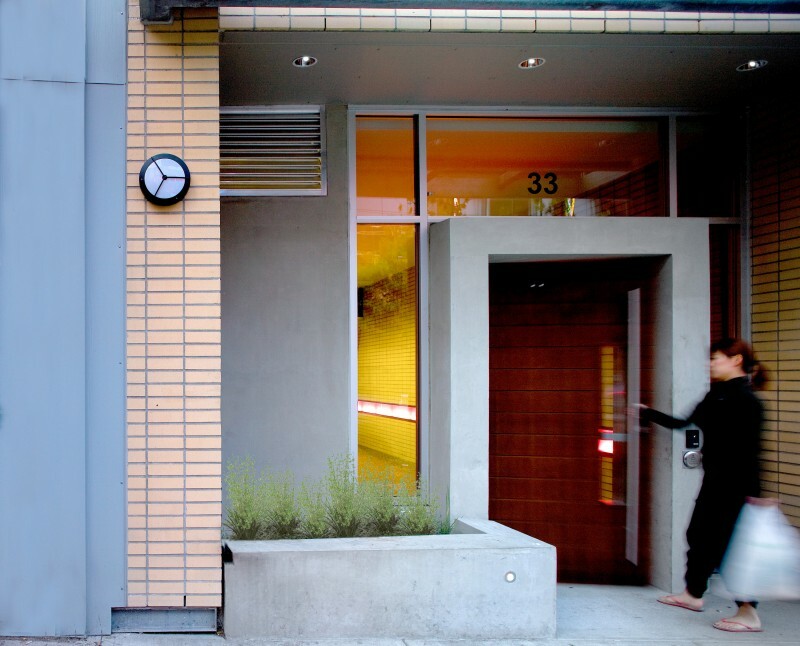 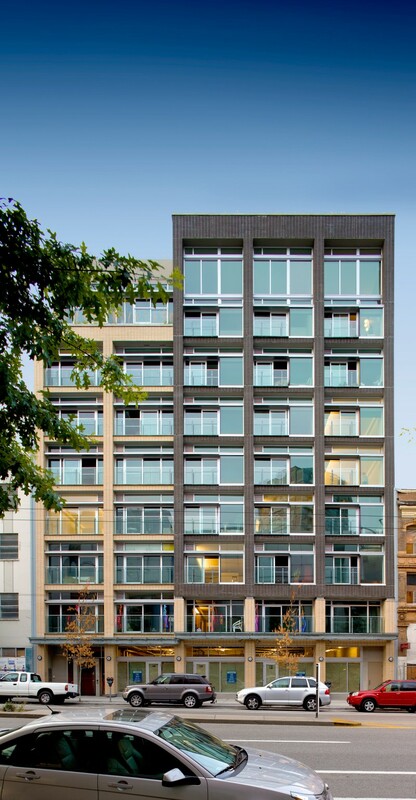 Characteristic of heritage buildings located in Victory Square, the Pender Street frontage respects the fine grain of development by dividing the facade into two distinct components of varying width and height that reflect the historic pattern of development. 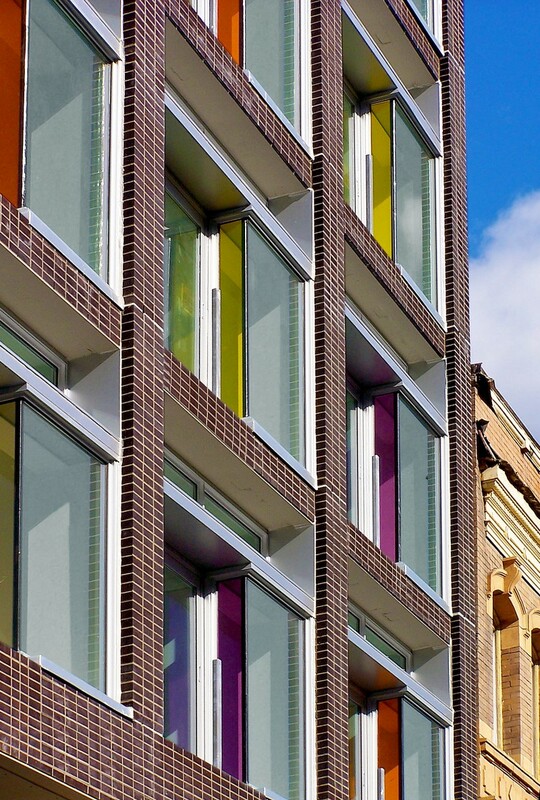 The masonry and glass facade is punctuated with recessed sills, solar shading and coloured glass panels that celebrate and reference the colourful and elaborately painted Millennium Gate and the Silk Road tapestry of the nearby Chinatown neighbourhood.